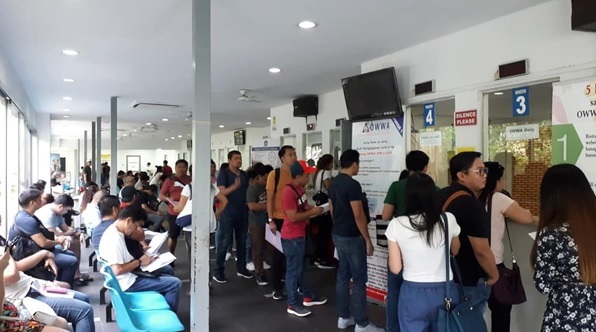 31 January 2019 – The Philippine Embassy in Singapore, in coordination with the Philippine Overseas Labor Office (POLO), successfully conducted its first Sunday consular services for 2019 last 27 January. With Consul Gonaranao B. Musor as supervising officer, the Embassy and POLO completed a total of 386 transactions: 88 passport renewals processed, 8 passport validity extensions granted, 25 visa, authentication and notarial services processed, 29 new passports released, 13 documents consularized, 5 employment contracts verified, 109 OECs issued, and 109 OWWA membership enrolment cases facilitated. “Singapore is a small island-state but we make our services accessible even on a Sunday for our kababayans who do not have the time to visit us during the work week,” Ambassador Joseph Del Mar Yap said. The next Sunday consular services will be held on 24 February 2019.